I asked this old dude to play me some howling wolf and he went into “going back to Kansas city.” I’m guessing there was a girl there. Can’t see many other reasons other than family. He had two little amps one for the mike and one for the strat. Old strat too. He seemed happy to oblige. 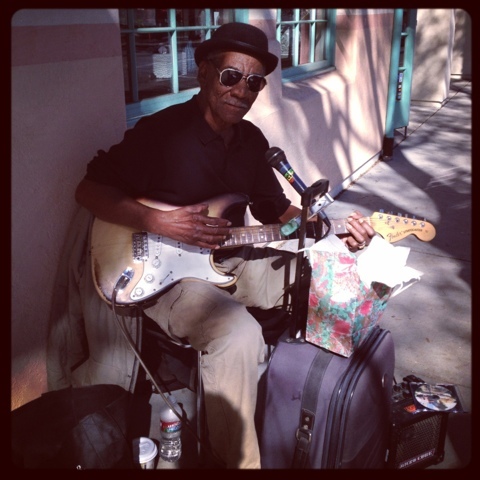 I love to throw a little money to the street musicians. They make life so random, beautiful, and sweet.